That’s ok, let us walk you through all that we offer! Click the tabs below the table to see a visual breakdown of each system. “Click” the black tabs below to see a visual breakdown of each system. We offer the highest end commercial grade paver sealer on the market today. If you are looking to bring the beauty back to your pavers and not have to re-seal year after year then Hydro Poly is your answer! 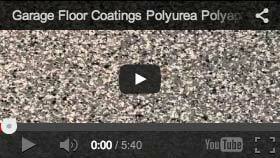 Eco-CorFlex Hydro Poly is a one time application, 2 component sealer that outlasts any other sealer on the market. This product was developed specifically to address the frustrations with sealing pavers, flagstone, concrete, etc. and having such a short life expectancy. Please CLICK HERE to visit paversealer.com to learn more about this revolutionary sealant! The National Association of Homebuilders estimates that Americans spent 2.5 Billion dollars to enhance and upgrade their garages. IS YOUR GARAGE IN DESPERATE NEED OF A MAKEOVER? WE ARE MORE THAN JUST GARAGE FLOOR COATINGS! GFC meets and exceeds our customers’ expectations in product quality and service—every day, on every job—by complying with ISO 9001:2008 and regulatory requirements, and by continuously improving our processes and systems. Located throughout Canada & the United States. Officially tracked and measured, ISO certified. As I expected, the floor looks fantastic! Your team of installers are simply the best! I would like to thank you and your team for the fantastic job you all did on my garage floor!!! I could not be any happier. Garage looks great and I am completely satisified with the installation. The results exceeded my expectations. If you need my name for future customer inquiries, please feel free to do so. Several neighbors have already looked at the final product. We were very impressed with the professionalism and skill of the workers we also very much appreciated the phone call the previous days with the window of when the crew would arrive. They actually arrived before they were scheduled.